If you travel by car it takes less than an hour to get here from Copenhagen airport and approximately 40 minutes from Copenhagen. Upon arrival you’re just five minutes from the beach on foot. It’s also easy to get here by train or bus. Find the journey that suits you at Rejseplanen.dk (travel planner). 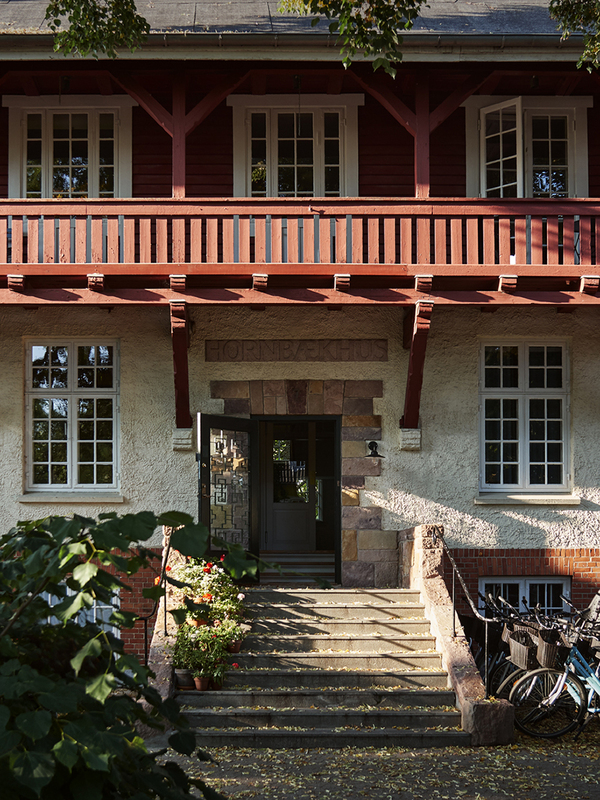 Send us a message and let us know what you dream of, and what you need during your stay at Hornbækhus so we can make it as pleasant as possible. We look forward to hearing from you and welcoming you to the hotel. If you wish to amend your consent form you can do so by following this link. 1st of October Villa Strand closes down for the Winter and for renovation. We look forward to share Villa Strand with you next year. All reservations and questions concerning Villa Strand should be addressed to the reception at Hotel Hornbækhus. All reservations and questions regarding Villa Strand shoul be directed to Hotel Hornbækhus.